Our modules are adaptable and secure, and provide the best conditions for your technology. 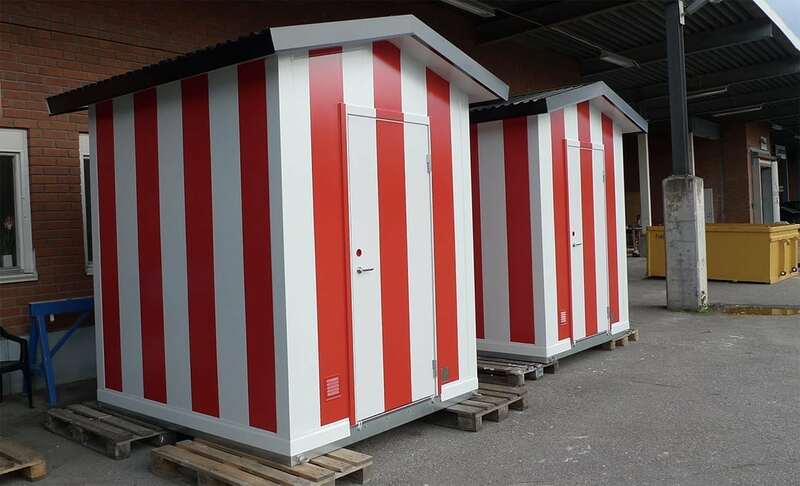 They are equally suitable for use as temporary or permanent solutions and are completely custom-built to your requirements. 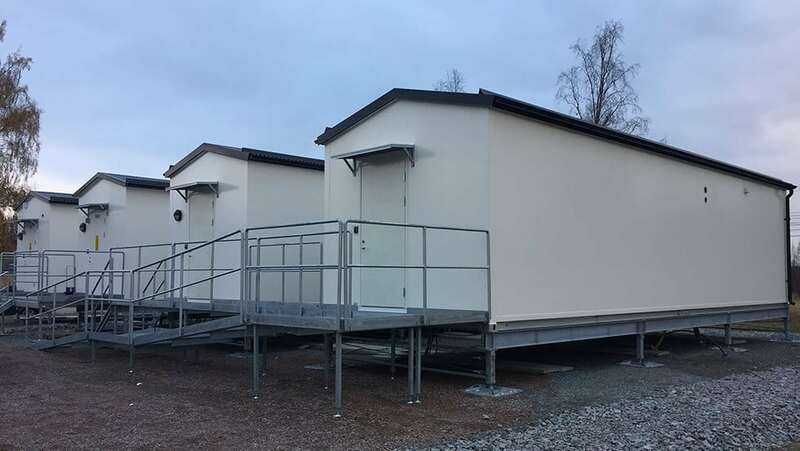 They are built on steel chassis with a sandwich structure for the roof, floors and walls. The roof and walls can be clad in the material of your choosing such as aluminum, natural stone or wood. Windows and doors can be placed anywhere on the structure. 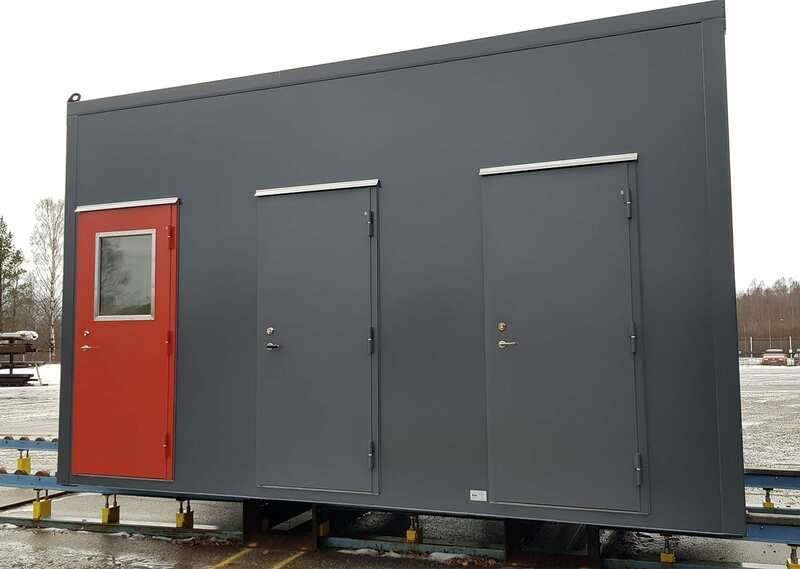 For extra-sensitive environments where external appearance matters a little bit more, architectural designed modules can be commissioned. 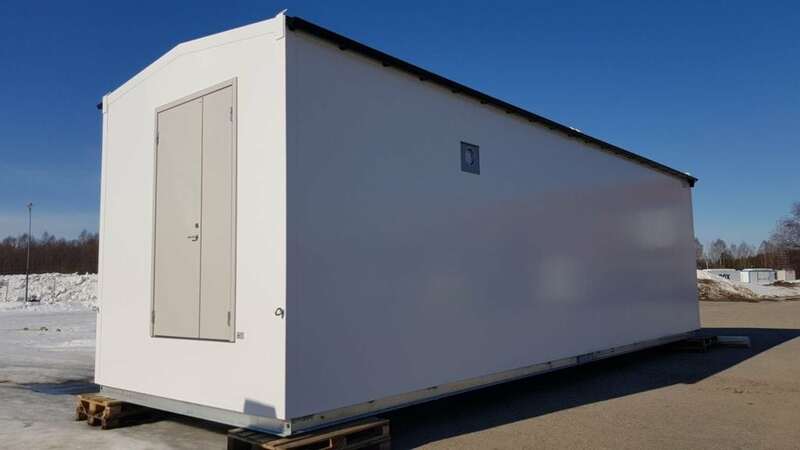 The interior is as adaptable as the exterior, which means our modules can house anything from sensitive electronic equipment to a mobile office furnished according to your specifications, and most things in between. 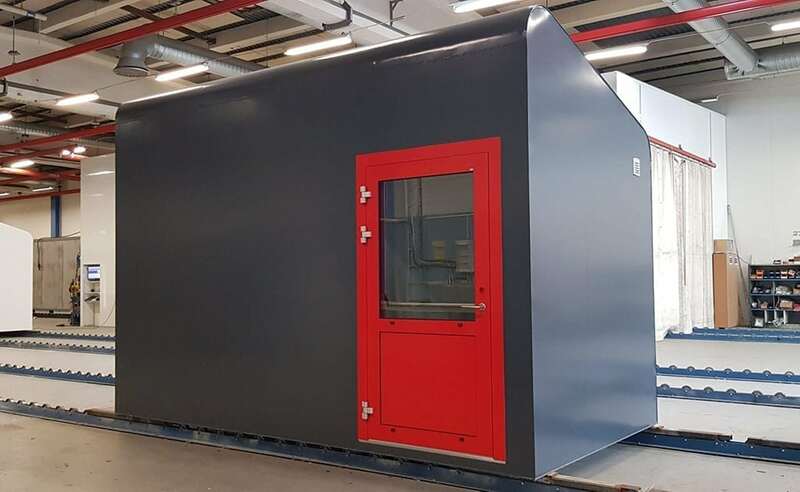 All of our modules are built using sandwich technology to provide a lightweight and economical product with a secure interior for electrical, radio and telecom equipment. 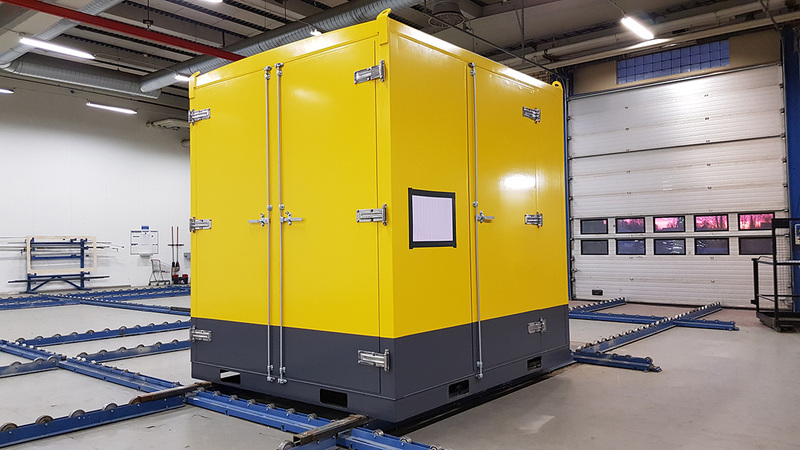 Our tech buildings offer trouble-free operation in the arctic or the desert, in wintery or tropical climates. 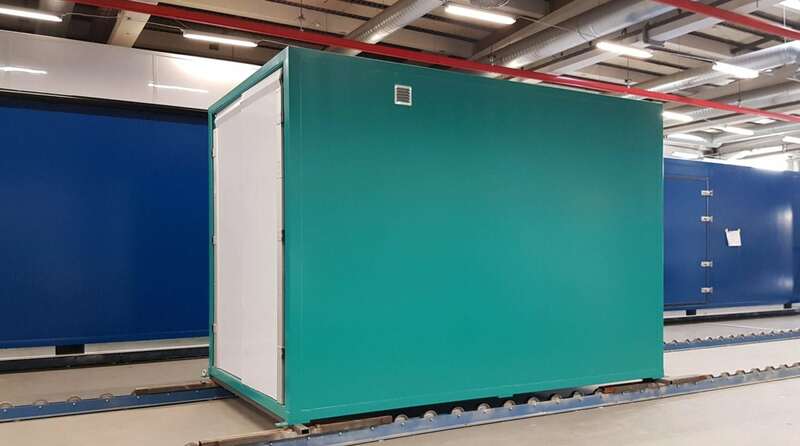 Our modules can be delivered in two types of configurations, either a compact flat pack solution that comes with a complete kit for on-site assembly or an assembled, ready-to-use product delivered to the location you’ve specified. All wiring can be assembled and installed upon request. Our modules are developed and manufactured in accordance with ISO 9001 and ISO 14001. Sometimes it’s important to blend into the surroundings. Our modules have that ability. They are always tailored according to your requirements and the surrounding conditions. 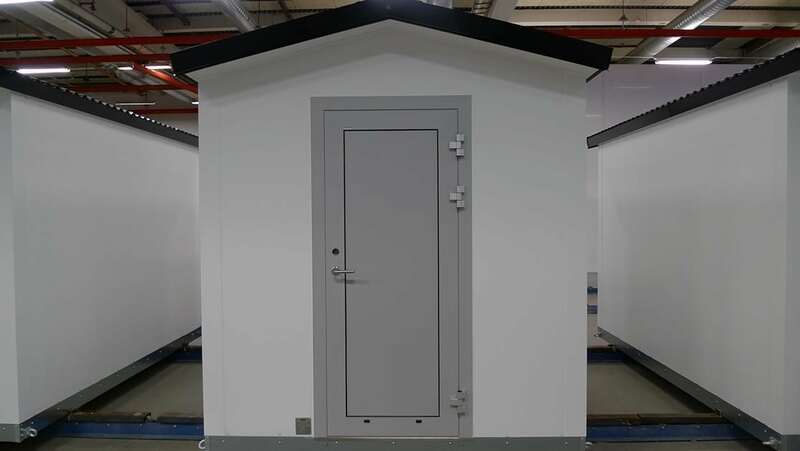 A tech-house, technical-node or analysis-house can withstand biting arctic winds and desert heat in temperatures ranging from +50 to -50 degrees Celsius. 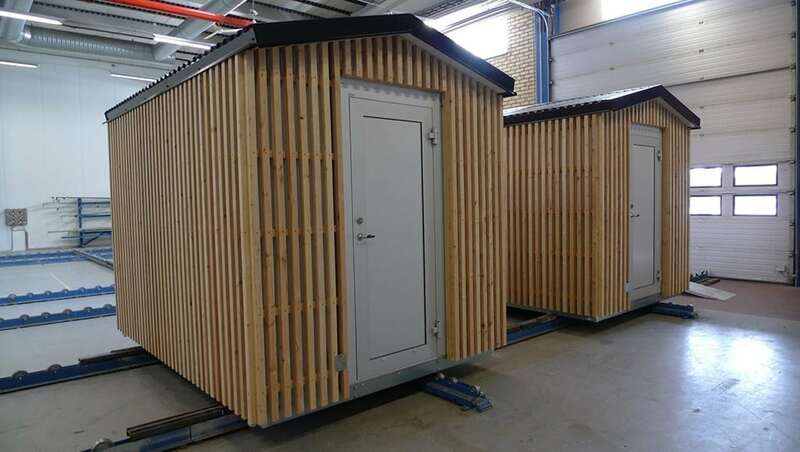 They can withstand wind speeds of up to 56 m/s, and the roof has the capacity to support up to 350kg of snow per square meter. Get the most out of your technology. 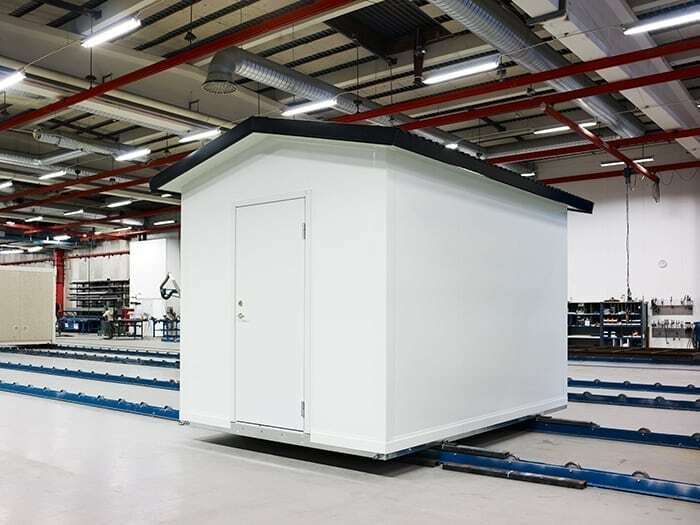 Our tech buildings provide optimal conditions, enabling your technology to work for you rather than the other way around. We know that a well-designed structure is the result of careful, well-planned attention to detail. That’s why we always take particular care in that respect. 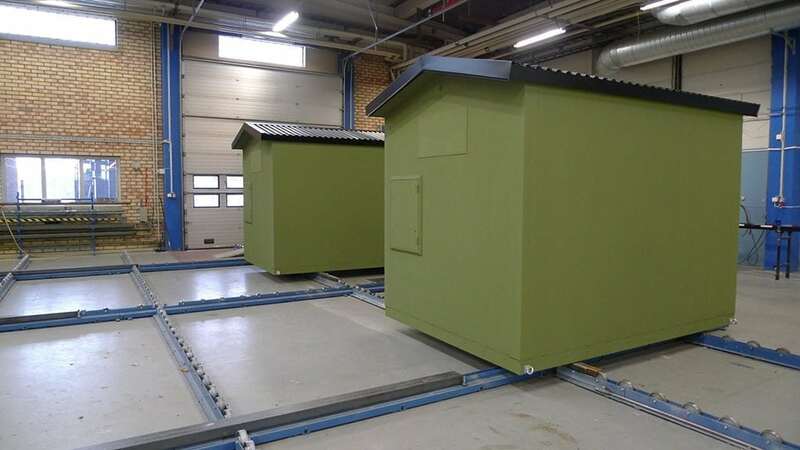 For instance, we can build an overhanging roof to prolong the lifespan of the walls, waterproof cable inlets, and add adjustable foundation fixings with lifting eyes. 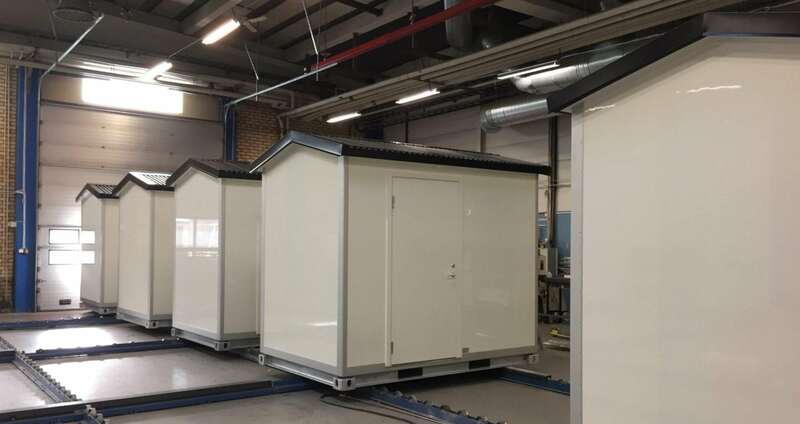 We can also mount a roof over doors with built-in ventilation, a rain-shielded generator inlet or, depending on the surrounding conditions, a stormproof door check. These are some examples of adjustments we could suggest depending on your requirements and the surrounding conditions.